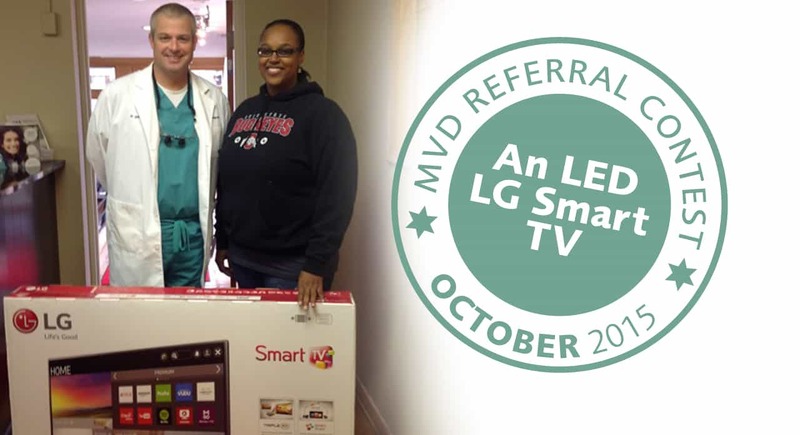 Refer friends and win fun prizes! Receive automatic entries into our contest when you refer friends and family members. Plus, you’ll each get $50 Visa gift cards. 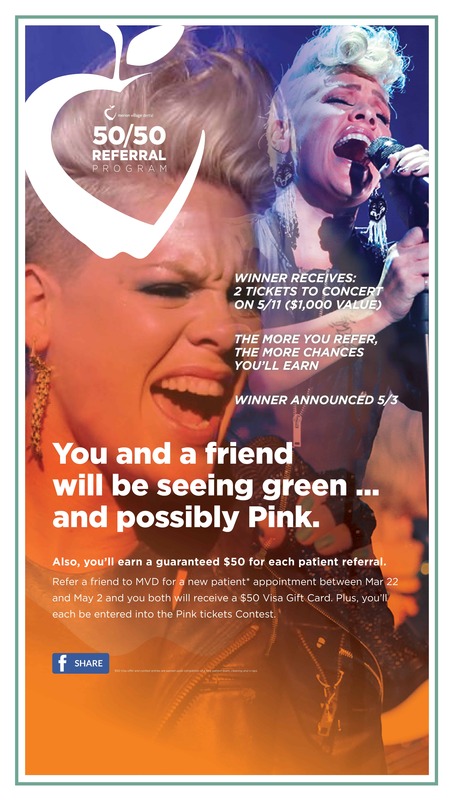 This contest, you could win tickets to see Pink in concert – a $1,000.00 Value! Our team will personally call the winner in May to award him/her with the concert tickets! This contest ends 5/3/19, so share this info with your friends today! Click Here to Refer a Friend Now! Here are a few of our past contests and winners. You could be next! 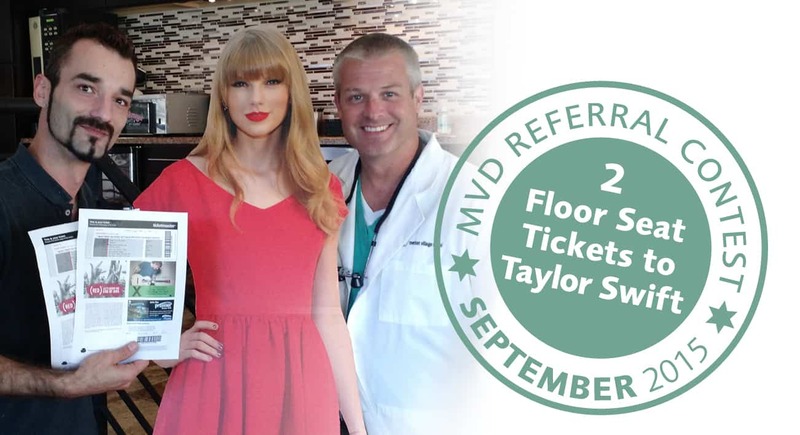 Robbie won floor seat tickets to see Taylor Swift – a $650 value! 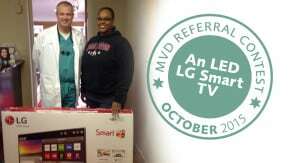 Cheri won a 50″ LED Smart TV – a $630 value! 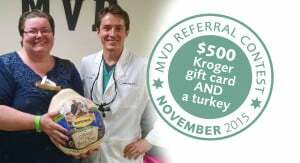 Tammi won a $500 Kroger gift card and a butterball turkey! I want to refer a friend! Start referring your friends and family for your chance to win our Pink concert tickets contest or other great future prizes. We want to give back and reward our patients for making us the dental office we are today! *Not receiving our emails? Send an email to info@mymvd.com to join our mailing list and ensure you receive chances to win other fun prizes and promotions!